When it comes to most baby items, I try not to be too picky...honestly, if it does the job its intended for, I tend to be happy with it. Still, there are a few exceptions where I like to be a bit pickier, and at the top of that list is the diaper bag!! If I'm going to be carrying around this bag for the next year or so, I want to it be something I love. Like many moms, I don't always want to carry multiple bags, so the diaper bag often replaces a purse...so why should it not be just as stylish and fun as well? 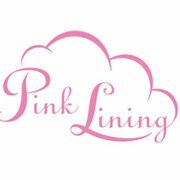 Enter Pink Lining with their adorable, high quality diaper bags that are just perfect for the mom on the go! 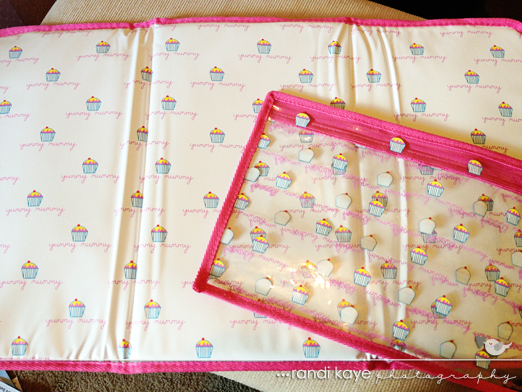 For this review, Pink Lining generously sent me their Mama et Bebe Messenger in Apple Tree! 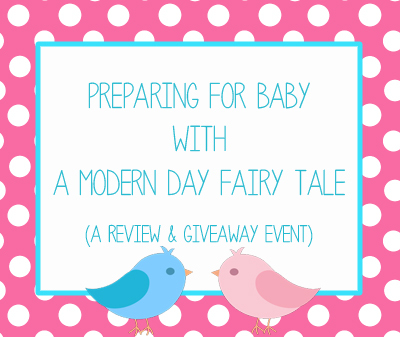 From the first moment I saw a Pink Lining diaper bag online, I was absolutely in love! It's not hard to see why, they are absolutely adorable!! The problem I have found with many diaper bags is that they are entirely too baby-ish. This makes sense I suppose, but honestly, I want something a little more MY style...after all, I'm the one carrying it, not baby, right? 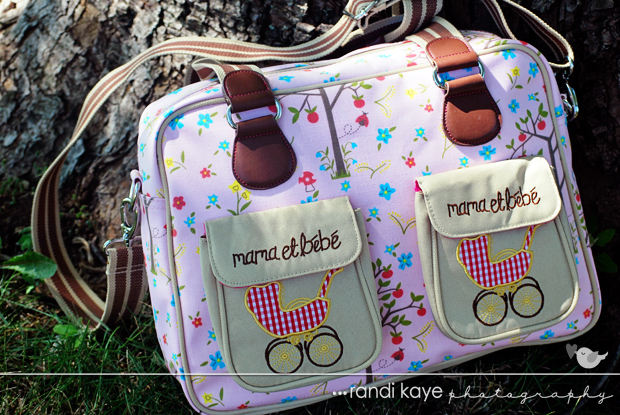 Pink Lining diaper bags are the perfect combination of cute and stylish. Such fun prints and styles...I adore the look of these bags! The quality is also absolutely wonderful. It is made of a cotton canvas, but is laminated with EVA coating...which will be great for all the spills and messes that will inevitably occur!! And of course, I adore the signature interior bright pink lining! 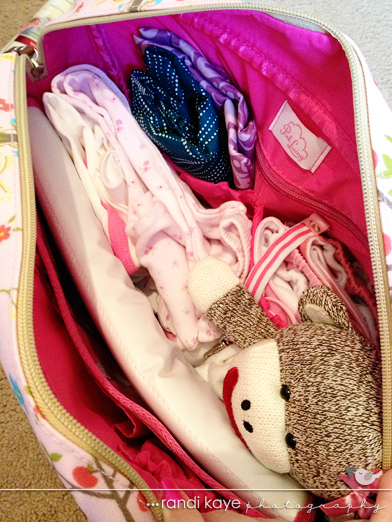 But of course, looking nice is only part of what makes a great diaper bag...it also has to be functional. 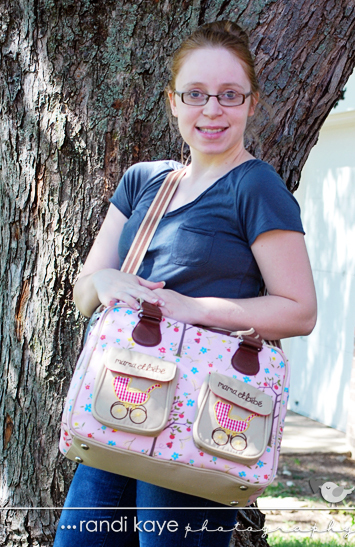 The Mama et Bebe Messenger has plenty of pockets to store everything baby needs! There are two insulated pockets for bottles/snacks, two diaper pockets, pen holder, key fob, and small zip pocket... as well as an adorable changing pad and matching wet bag. There are also two exterior pockets. Typically with my son, my diaper bag consisted of a blanket or two, a few outfit changes, diapers/wipes, nursing cover, carrier of some type (usually a wrap) and a little toy...and of course mommy's wallet and cell phone, etc. I tested out the Pink Lining bag to see how well it would hold everything, and found it had plenty of room for everything we needed. Since we are using cloth diapers which tend to be bulkier, I was concerned about finding a bag that would hold our diapers and allow extra room for everything else...I was able to pack 3 diapers, about what we would need for a typical short outing and had absolutely no troubles! We also found with my son we rarely used the changing pad (instead using a receiving blanket), so if we did need more room for longer outings, we could easily remove the changing pad! Overall, I absolutely love my Pink Lining Mama et Bebe! It's adorable, functional and just the absolute perfect diaper bag to match my style and needs! If you are looking for a great diaper bag, I highly recommend Pink Lining...and if the Mama et Bebe isn't quite your style, there are many more adorable looks available as well. I also personally love the Yummy Mummy bag myself!